Supporting timely, objective and rigorously conducted research and policy analysis. 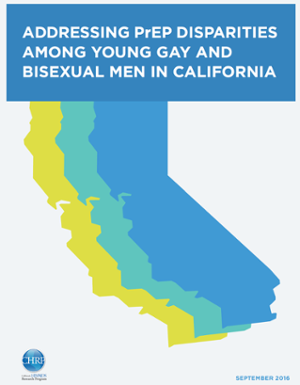 We fund two Collaborative HIV/AIDS Policy Research Centers to support research and policy analysis that addresses critical issues related to HIV/AIDS care and prevention in California. These centers are comprised of multi-disciplinary teams of investigators working in partnership with consumers, advocates, and policymakers to conduct policy-relevant research that strengthen local, state, and national HIV. This research produces new knowledge that can be applied to improve prevention and care services for affected persons and populations. The work of the research centers focuses on a "rapid response," which entails short-term research projects designed to quickly address questions that emerge in a dynamic health policy environment. 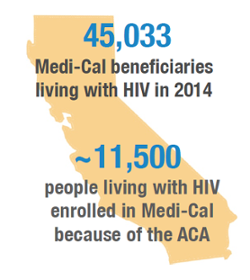 Projects have included modeling potential state AIDS Drug Assistance Program (ADAP) savings by supporting HIV patient enrollment in federally-supported Pre-Existing Conditions Insurance Pools (PCIPs); and conducting a cost-benefit analysis of enhanced surveillance efforts on federal funding for California. The California HIV/AIDS Policy Center (project abstract) is a collaboration between UCLA's Center for HIV Identification, Prevention and Treatment Services and AIDS Project Los Angeles, which includes the Los Angeles Gay and Lesbian Center and Charles Drew University as subcontracting partners. The AIDS Policy Research Center (project abstract) is a collaboration between the Center for AIDS Prevention Studies at UCSF and the San Francisco AIDS Foundation which includes Project Inform as a subcontracting partner.